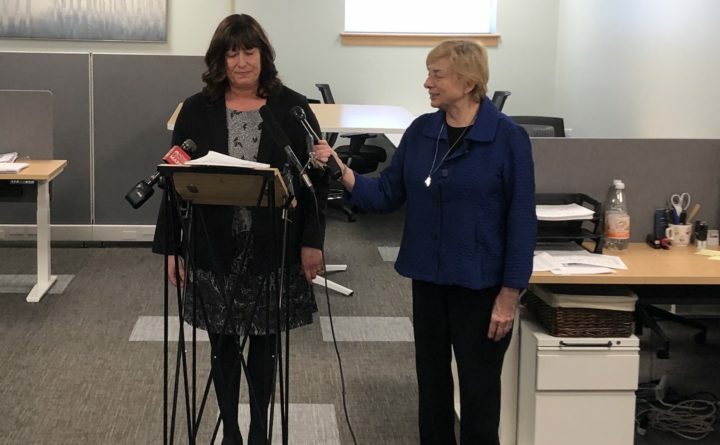 AUGUSTA, Maine — Gov.-elect Janet Mills said Wednesday she’ll nominate Brunswick Assistant Superintendent Pender Makin to lead the Maine Department of Education and her pushes for universal pre-K and raising minimum teacher salaries in Maine. Makin, 54, of Scarborough has been the second-in-command in Brunswick since 2015 after 12 years as the principal of an alternative high school now controlled by Brunswick, where she was named principal of the year by the Maine Principals Association in 2013. She is Mills’ sixth commissioner pick to date as the outgoing Democratic attorney general approaches her Jan. 2 inauguration to replace Gov. Paul LePage, a conservative Republican who often warred with Mills during her six years in that post. Past governors have had a difficult time managing education. LePage’s predecessor, Democrat John Baldacci, passed a 2007 school consolidation plan that many cities and towns have opted out of. While LePage won a key reform in 2011 when the Legislature established public charter schools, his later years were marked by instability atop the department. Democrats will control the executive and legislative branches after the 2018 election that Mills won behind an education agenda that includes goals of universal pre-K, raising minimum teacher salaries from $30,000 per year — a mark set in 2007 — to $40,000 and the state meeting a never-met standard of paying 55 percent of basic education costs. One of Mills’ first jobs in office will be to submit a two-year budget proposal to the Legislature. On Wednesday, she called the proposal “a work in progress” and labeled all three of those items priorities. However, Mills has said she doesn’t plan to raise taxes on Mainers in that budget. Makin and other nominees will face confirmation hearings and must be approved by the Maine Senate. Mills told reporters on Wednesday that she expects to be “pretty close” to filling all 14 commissioner spots when she takes office next week. Correction: An earlier version of this report misstated the date of Janet Mills’ inauguration.